Although it may not always seem like it – children thrive under routine. ‘Shirt, shorts, shoes’. ‘Soap, rub, rinse’. Even the nightly ‘Teeth, toilet, bed’ that turns into ‘teeth, toilet, book, bed, chat, drink, bed, toilet again, bed’. Although we may not realise it, we depend on routines, both big and small, to get through the day – whether it be at home, work or in social settings. In fact we have relied on the same routines for so long that most of the time we do it without consciously thinking. However, without all those years of experience, children are often wondering ‘what next?’ and routines often facilitate the answer to that question. When our kids are familiar with routines, they can begin to take ownership and responsibility of themselves. When this happens, kids begin to do things because they take pride in themselves, not just because they’re following orders (or not following on some days). Essentially this means, less micromanaging on our behalf- and no more pulling up to school at 8:50am with two kids and only one school bag. Not only does this benefit us as parents, but with the anxiety of ‘what next?’ alleviated, our kids end up happier and healthier. In the long run this means as they get older, small routines can translate into larger skills and qualities. Getting ready for school in time, turns into being punctual and reliable. Unstacking the dishwasher and setting the table, turns into being a respectful house guest or room mate. Completing chores, turns into a good work ethic. Going to bed on time and being active, turns into a healthy lifestyle. And helping cook dinner turns into being the next Jamie Oliver (if you’re lucky). Visual timetable – Instead of asking your kids to ‘get ready’, break this big task down into chunks (brush teeth, brush hair, get dressed, eat breakfast) using pictures, to make a big job seem more manageable. Incentives – Hey, they don’t have to do everything out of expectation, even adults work all week for the incentive of the weekend! A simple ‘points system’ can encourage kids to follow routines, without needing a reward every time – while still working towards a goal. Chores – As kids begin take responsibility for themselves, it’s important they also learn routines within their environment. A fun way to decide who does which chore, is to use a chore wheel that everyone (including parents) can spin and let fate allocate the tasks for that week. Click here for a printable chore wheel to start using at home! Social routines – Setting aside time to participate in social play is important for a healthy lifestyle. 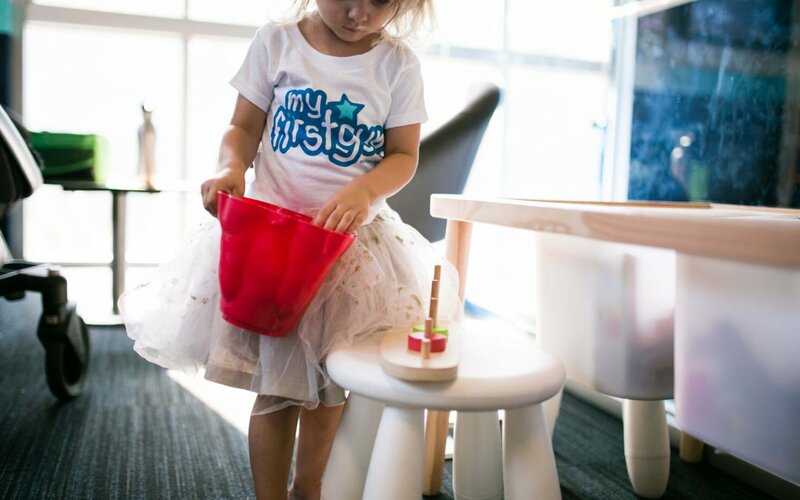 Communicative routines, such as holding a conversation and problem-solving are important life skills that can develop through play. Exercise – Making exercise a part of their daily routine is important for kids to begin to build healthy habits. Not only does this physically promote a happier and healthier life in the future, but also translates into larger life skills, such as resilience, persistence and self confidence. Check out our timetable here to see what routine you can get your kid(s) in this term.